Join us for our final event of 2016-2017! 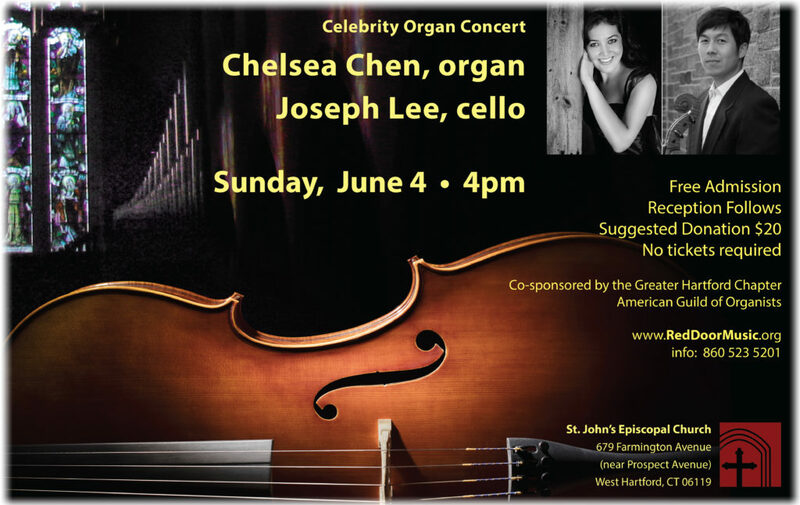 Mark your calendar today, and click here for details. Join us for a night of uplifting Gospel! 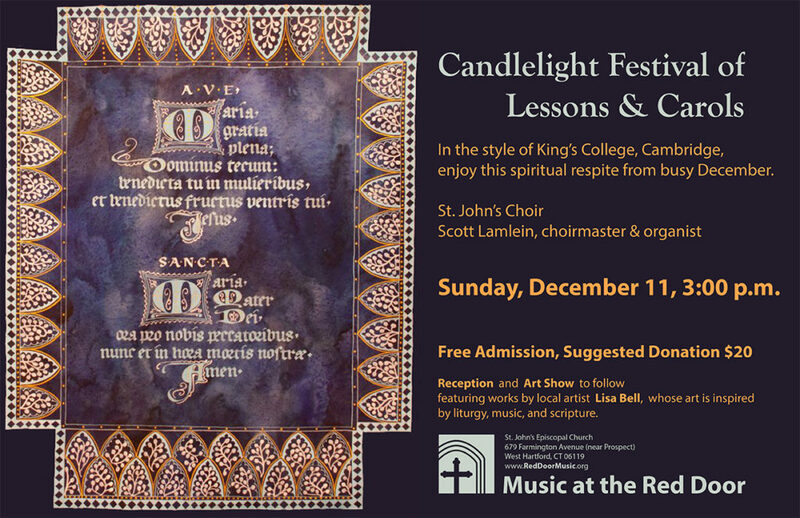 Join us for Lessons and Carols on December 11 at 3pm! Arrive early to get a good seat! Click here for details. 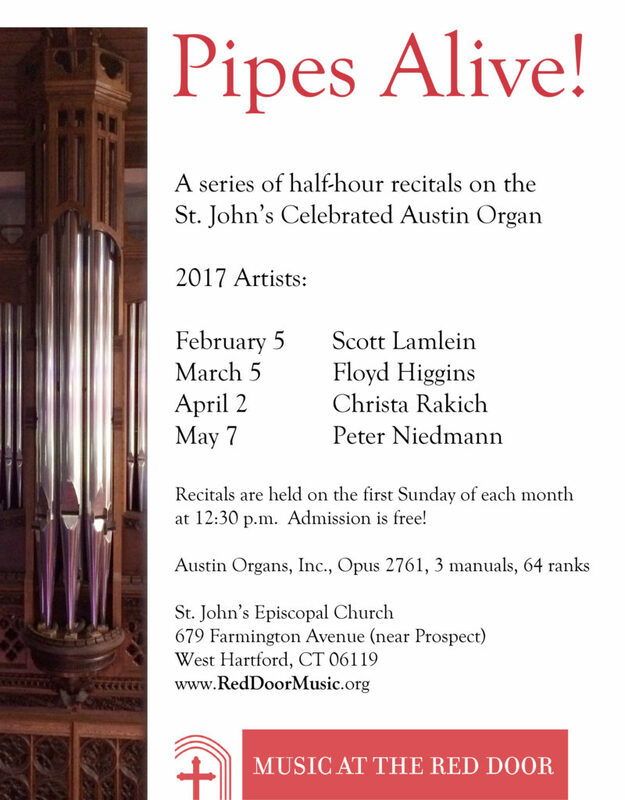 Monica Czaucz and Adrian Brinkley dazzle with their amazing talent on St. John’s Austin pipe organ! 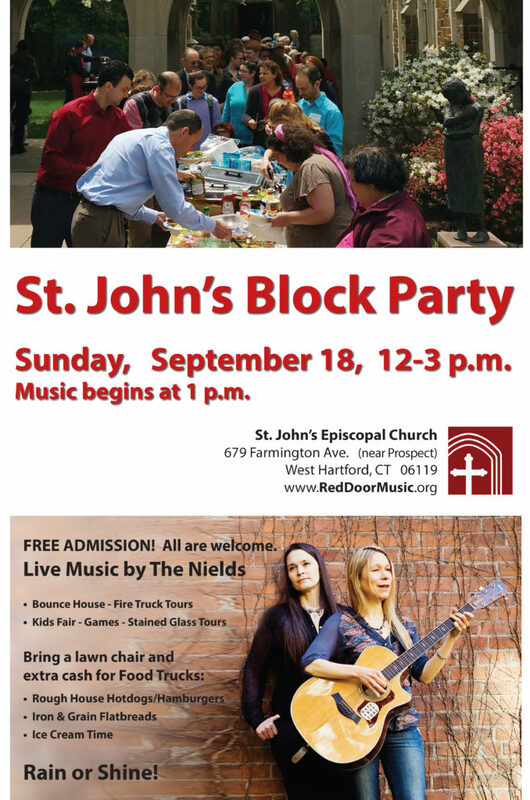 Saturday, October 1st, 7:30 p.m.
Join us for the St. John’s Block Party – with The Nields! Click here for details, and see you on the 18th! 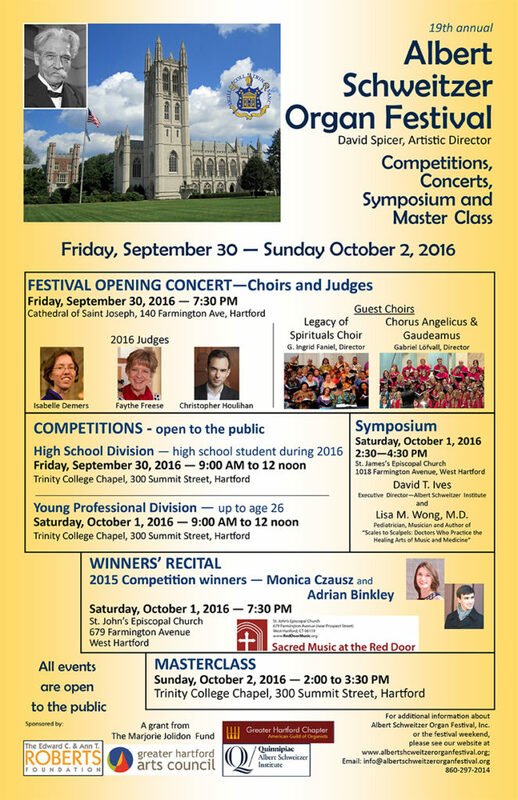 Join us for the 2016-2017 season! 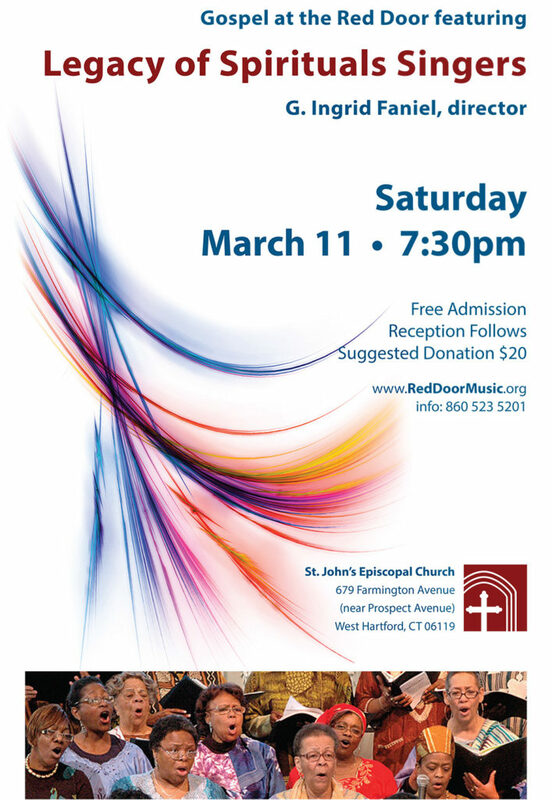 With sincere gratitude for a successful current season, I write today to tell you about the upcoming plans for Sacred Music at the Red Door, and to ask you to be part of this great ministry in our community. We are truly building a bridge to the community through the music we provide and showing newcomers our welcoming presence in the neighborhood. 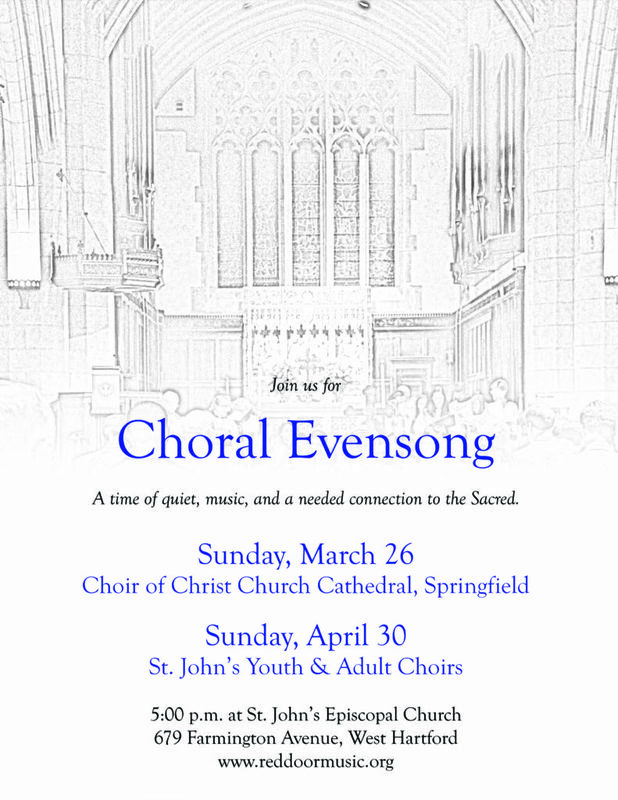 In addition, and perhaps most importantly, our young choristers continue to have a central role in major concerts, learning and presenting adult-level choral music in a group that is diverse, safe, and fun. One of my greatest joys is watching these children grow into young adults, knowing that these experiences will be part of them forever, and that they will be the future of Anglican choral music. 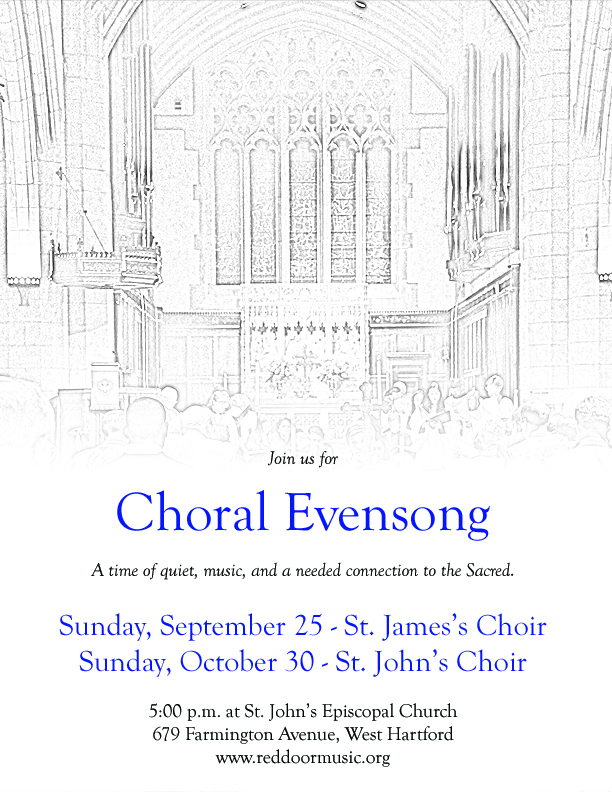 As you’ll see on our website, we are building on those themes for 2016-2017, most notably with the addition of several Choral Evensong services. 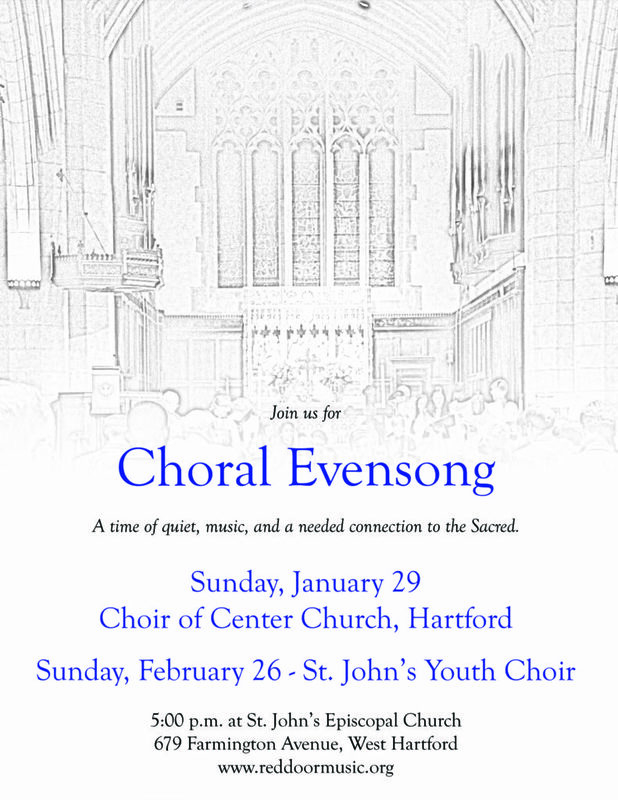 Through this ancient and beautiful liturgy, our choristers, young and old, will gain a deeper spiritual connection to the music we make, and provide a needed time for attendees to do likewise. 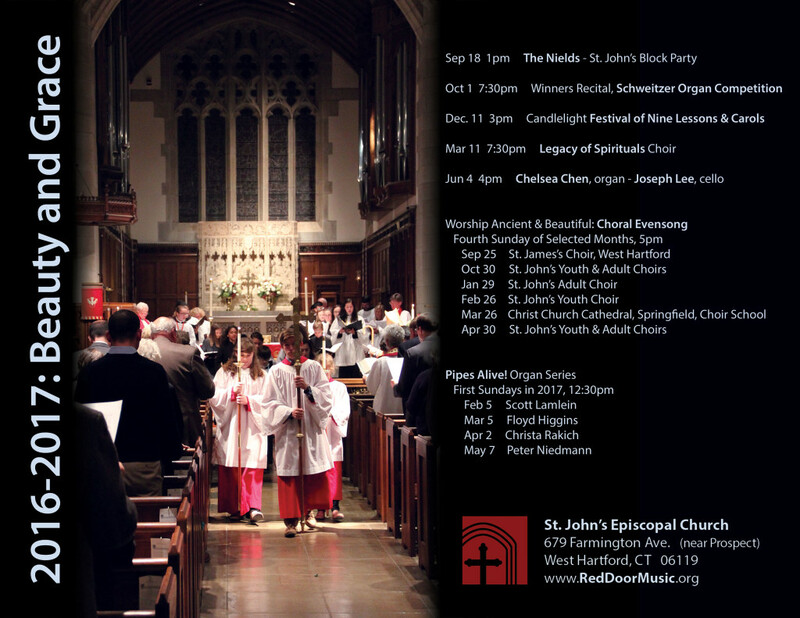 In addition, we feature our fabulous pipe organ proudly, and present local artists The Nields and Legacy of Spirituals Gospel Choir in exciting concerts. 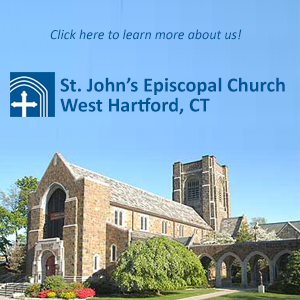 Please help us today with your financial support. Become part of the Red Door family today, and if you’ve been a regular supporter, please consider giving at a higher level to ensure that this important ministry continues growing. 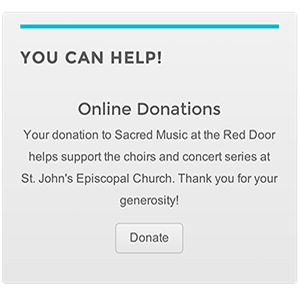 You may print our giving form, or give online at www.reddoormusic.org/donate. Thank you for your generosity, and I hope to see you at the Red Door!